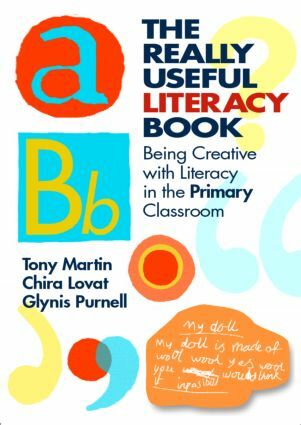 As literacy remains a key issue in primary education, this book provides new and inventive ideas for the classroom together with an accessible and informative summary of the theories that underpin them. Written for the primary school teacher, student or trainee teacher, this fully revised new edition will act as a springboard for further inspiration. The authors of this book – all highly experienced literacy specialists – show the reader how to plan units of work with flexibility and creativity, whilst retaining the objectives of the National Literacy Strategy. They offer a number of imaginative literacy units, based on exciting ideas that are designed to motivate, engage and challenge children in the classroom. Chapters in this second edition will be linked with thinking skills and Social and Emotional Aspects of Learning (SEAL) material, reflecting areas in which some practitioners may feel less than confident. The authors have also included a brand new chapter based on working with museums and galleries in order to expand children's literary creativity. This lively and stimulating book is an essential companion for teachers in Foundation Stage, Key Stage 1 and 2, and those on initial teacher training courses who want to develop their practice beyond the National Literacy Strategy.